Enhance your creative career opportunities and explore your full potential with a one-year BA Honours Top up Degree in Drama. Coláiste Dhúlaigh College of Further Education is now offering a one-year top-up degree programme in Drama (BA Hons) in conjunction with the University of Wolverhampton (UK). Accredited by the University of Wolverhampton, the course has been developed by the tutors to be relevant to contemporary theatre and performance practice in an Irish context. The year-long BA Drama course is designed as a follow-on for Theatre and Drama HND students who wish to gain a higher qualification, also for mature students and theatre practitioners who wish to deepen their performance understanding while attaining a degree. The course is delivered on a part-time basis at our Killbarack campus, with a minimum of 12 contact hours per week. 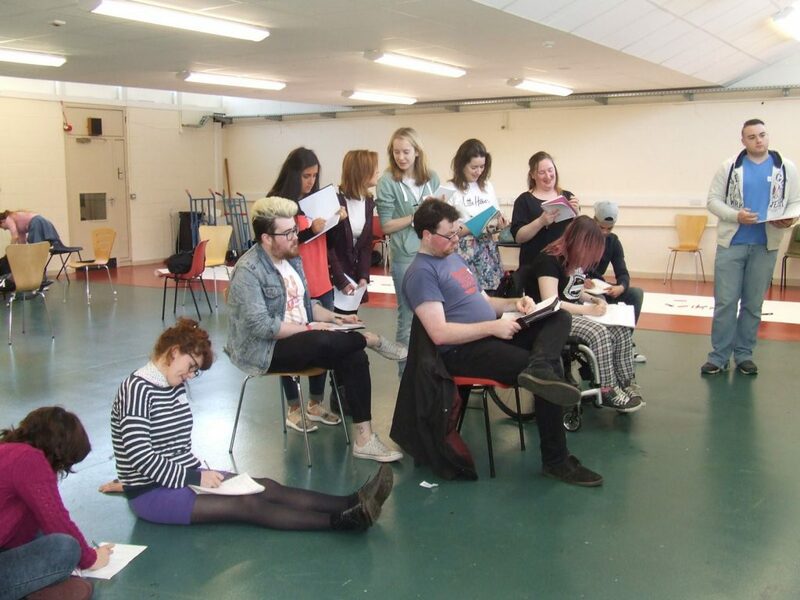 The performance elements of the course take place primarily in professional theatre venues including Axis Theatre, Ballymun. The course requires full commitment from participants, as self-directed learning is central to successful completion of the top-up degree. Students also require good collaborative skills and the ability to work as part of an ensemble. Taught by industry professionals, the course will develop learners’ ability to engage creatively and effectively with the production of performance through a critical understanding of performance techniques, working methods and vocabulary. You will be encouraged to engage in independent, critical thinking and to use your imagination, creativity and organisational skills. Practically and creatively led, the degree is supported by significant academic elements including lectures and self-directed research and essay writing. Alongside the on-site Drama library, students have access to Wolverhampton University’s online library, including e-books and other materials. The online system also offers extensive support material including dissertation guides. There are four taught modules on the BA Drama course covering diverse performance studies areas, as well as a significant self-directed personal research module. In 2015/16 the modules offered were in live art practice, applied theatre, site based & immersive theatre and ensemble performance. The Professional Project is a self-directed personal research module. You will work on your own performance-related research project over the academic year, culminating in a full dissertation (12000 words), or a practical performance presentation with short dissertation (7000 words). This module offers students the opportunity to interrogate their creative ideas through a process of research and experimentation. It also includes academic standard research in the form of a substantial dissertation. The Professional Project is a significant part of the BA Drama course and is self-initiated and self-directed with support mentoring from tutors. Contemporary Perspectives – This module explores the multi-media nature of live performance in current practice. It focuses on solo personal creation inspired by existing professional work and explores the experience of Live-ness for both maker/performer and audience. Applied Drama – This module focuses on models of engagement in contemporary Irish community settings and the application of drama and theatre practice in community environments. The module is group-based and highly collaborative. Contemporary Contexts– This module explores a contemporary text or texts in performance and casts students in a professional ensemble as both performers and production assistants. The production is tutor-directed, but co-managed with students, and engages ensemble performance and production skills. The end production is presented in an established venue with professional technical staff. Independent Producer– Working in small groups students create a mini-festival of site-based performances drawing directly from a series of in-house and guest workshops. This module introduces a fast-track process of collaborative development, production and presentation, which focuses on twentieth and twenty-first century theatre practice. The module explores working collectively with both form and text to make an original and dynamic live theatre experience. The modules on the BA Drama course build cumulatively over the academic year to stretch and develop the student’s experience and understanding. Students will need equivalent time outside contact hours for research, study, rehearsal and written assignments. 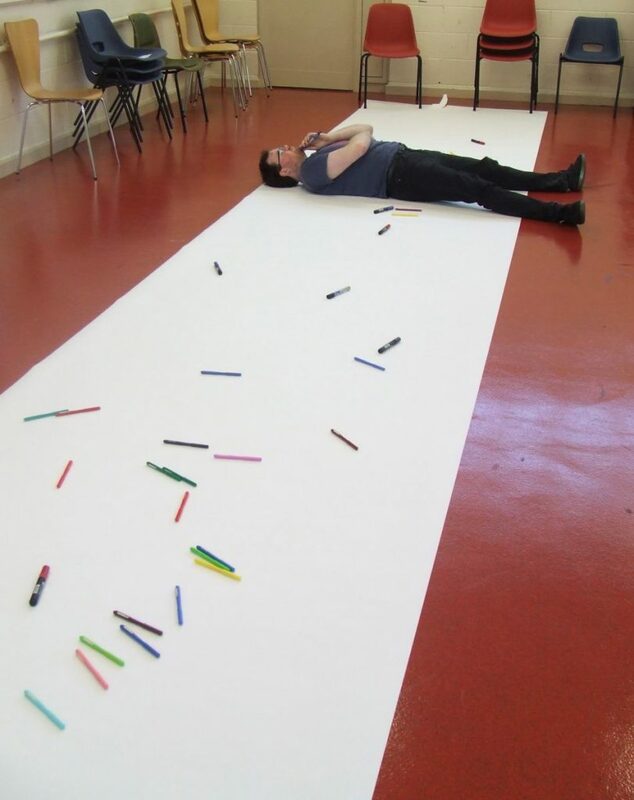 The course is taught by director and facilitator Joe Devlin, theatre-maker and dramaturg Michelle Read and director and creative consultant John O’Brien. Emma Barry is course co-ordinator. Each year the course will include additional workshops with relevant visiting industry professionals along with performance trips. BA (Honours) from the University of Wolverhampton. A wide range of career opportunities are open to drama graduates including: performer, director, writer, stage technician, stage designer, teacher, trainer, arts facilitator. Previous graduates of Wolverhampton University and Coláiste Dhúlaigh have gone on to careers as performers, stage technicians, playwrights and casting directors, while others have gone on to work in the media, marketing and management, and in schools and colleges. Alternatively, you could continue your academic studies by progressing to a Masters course and from there to a PhD. Following the degree you might also consider going on to train to teach, either through a PGCE course or a Graduate Teacher Programme. The cost of the programme is €3,500 Euro, to be paid in 3 installments. Applicants will be interviewed and should hold a relevant HND with merit/distinction profile or equivalent qualification, as well as portfolio of work and experience. Mature students with relevant experience are welcome to apply. Academic or employer references are essential. Interviews will take place in April/May 2019. · July, if places are still available, new offers will be made in order of suitability. 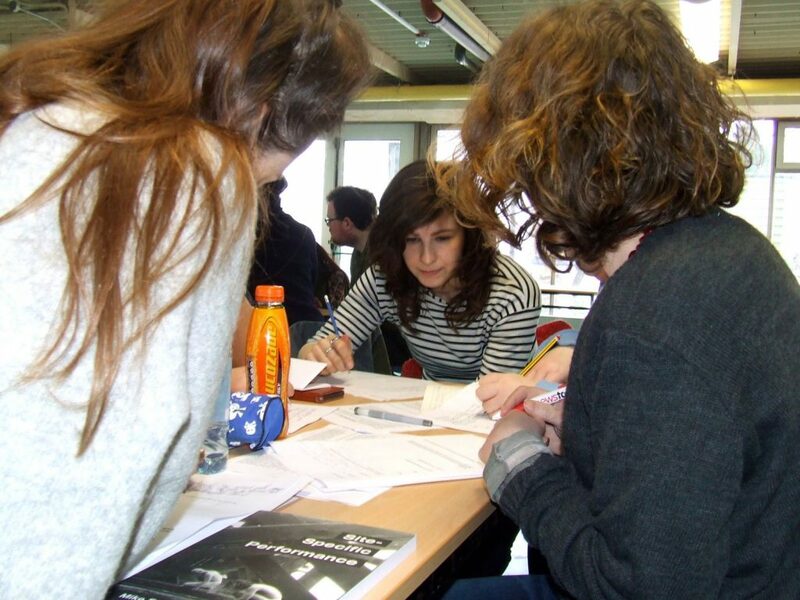 *This course is run under the colleges part-time provision and will form subject to numbers enrolled on the course. Students are not eligible for a grant in this Top-Up course. *A minimum number of participants will be required in order for course to commence.